Just One More Hand tells a story that workers all over can relate to: an industry that promised a solid and stable livelihood is being transformed by competitive pressures, causing employees to lose their economic footing. What seemed like a good job one day becomes a bad job the next. Incorporating the real experiences of casino employees, the book demonstrates the difficulties for local communities that are building new casinos in the hopes of luring tourists. Local communities placing all their chips on casinos as an economic development strategy face increasingly long odds. Ellen Mutari is Professor of Economics at the Richard Stockton College of New Jersey, located just outside of Atlantic City. 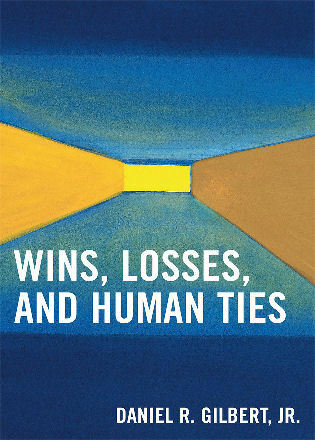 Mutari has held visiting positions at the New School for Social Research, Rutgers University’s Department of Labor Studies and Employment Relations, and Monmouth University. Mutari was the Book Series Editor for the Routledge IAFFE Advances in Feminist Economics book series from 2008-2013. She is one of the co-authors, with Deborah M. Figart and Marilyn Power, of the first book in this series, Living Wages, Equal Wages: Gender and Labor Market Policies in the United States. She and Deborah Figart also edited Women and the Economy: A Reader. Previously, she published an edited volume based on a set of conference papers, Gender and Political Economy: Incorporating Diversity into Theory and Public Policy. 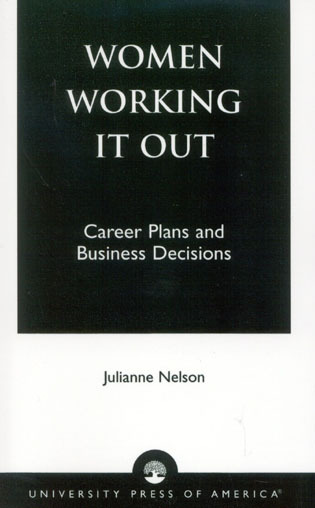 She is also the author or co-author of 15 scholarly journal articles, primarily on labor market issues and policies. An Editorial Associate at Dollars and Sense magazine since 2000, Mutari’s articles for this popular economics journal have been reprinted in anthologies. Mutari is currently President of the Association for Social Economics, and has served multiple terms as a member of the ASE Board of Trustees. She has served on the editorial boards of several scholarly economics journals. Deborah M. Figart is Professor of Education and Economics at the Richard Stockton College of New Jersey. 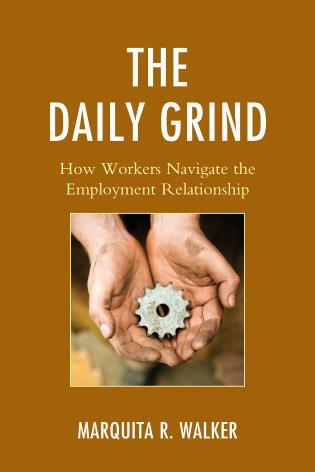 Figart is an internationally-known scholar in the field of labor and employment issues. Figart is the author of 16 books, monographs, or guest-edited academic journal volumes. Her sole- and co-authored scholarly books are Living Wages, Equal Wages: Gender and Labor Market Policies in the United States (with Ellen Mutari and Marilyn Power) and Contesting the Market: Pay Equity and the Politics of Economic Restructuring (with Peggy Kahn). Her co-edited books are titled Handbook of Research on Gender and Economic Life, Living Standards and Social Well-Being, Ethics and the Market, Living Wage Movements: Global Perspectives, Women and the Economy: A Reader, Working Time, and Emotional Labor in the Service Economy. She is also author of 39 referred journal articles, 14 other refereed publications such as encyclopedia entries, 25 books chapters, and assorted other publications. Figart has written a number of newspaper op-ed pieces related to work issues and financial literacy. Several of her articles have appeared in the economics magazine Dollars & Sense. She has been interviewed by the media on a range of economic and policy issues. In 1992, Figart joined with other economists as one of the 50 founding members of the International Association for Feminist Economics (IAFFE). Figart has served her profession in a variety of elected and appointed positions, including service as President of the Association for Social Economics and as a member of the Board of Directors of the Association for Evolutionary Economics. She was co-editor of the Review of Social Economy from 2005-2013 and has served on the editorial board of numerous professional journals. 7: Public Investment or Socialized Risk? Mutari and Figart, labor economists who pronounce themselves 'fascinated by how people earn a living,' examine, in intriguing . . . detail, the struggles of casino workers in the post-recession U.S.. . . .The authors cast their subject as a metaphor for the larger, equally embattled American economic order. Once a thriving industry, casinos are now barely keeping afloat. As a result, many experienced casino workers are desperate for work, a situation presented as microcosmic of an economy in which many industries and governments are cutting costs to survive. 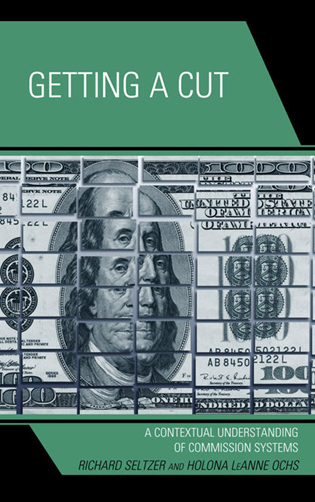 The authors share stories of current and former casino employees, such as Laurel, a longtime dealer with a high hourly wage who fears that she's a target for downsizing. 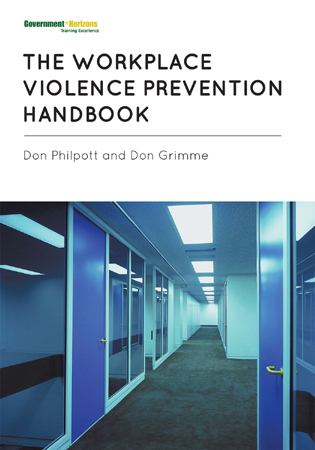 They also offer a detailed examination of the industry's changing fortunes, presenting unions as a force for good in employees' lives at a time of rapid change. The authors close on a somber note, sharing their thoughts on the industry's future in light of the possible legalization of online gambling. Inspired by a simple question—'Could you build a life working in Atlantic City’s booming casinos? '—Mutari and Figart investigate the complex answer’s very human face. Underpinning their analyses with real-life experiences of casino housekeepers and cocktail waitresses, pit bosses and poker dealers, they find the gaming industry—and the economic footing of its employees—in flux, an apt lens for a new economic order. Ever wonder what life in the casino is like? This fine book tells all, and it does so in the words and stories of the dignified, resourceful and dogged workers of Atlantic City, squeezed ever-more-tightly between a slow economy, corporate cost-cutting and the digital revolution. Casinos represent the most lurid face of the service sector, and both a microcosm and a metaphor of a broader economy in which growth has become increasingly unsustainable and the risk of deindustrialization is always just a product cycle away. This vivid, up-close-and-personal look at casino work, the workers who do it, and the communities that host it, is a valuable window on the changing American economy. Atlantic City was in decline in the 1970s with businesses closing and unemployment rising when the city bet on casinos to rescue its economy and provide decent jobs for its residents. Even as the early glitter of gambling as an economic development strategy, state and local officials doubled down on their initial bet. 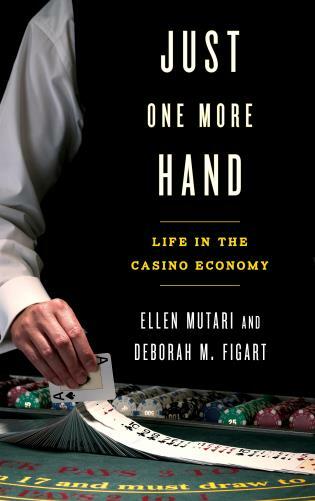 Just One More Hand is a masterful tale of the perils of economic development strategy gone awry, told with the analytical skills of two talented economists and seen through the eyes of a diverse group of people who depended on Atlantic City’s casinos for their livelihoods. Life stories of individual workers in Atlantic City are explored in the context of the history of the city and the now-global gaming industry. With more and more casinos competing for customers, employees are feeling the brunt of cost-cutting measures, including the wholesale closure of some casinos. While long-time employees are fighting against concessions and wage stagnation, younger workers juggle multiple part-time and seasonal jobs at several casinos. Policy makers hoping to offset these trends are trying to rebrand Atlantic City for a younger, hipper, and more well-to-do clientele using public-private partnerships. Unfortunately, scant attention is being paid to the core issue in economic development—the need for sustainable livelihoods and meaningful work. Here, Ellen Mutari and Deborah Figart explore the realities of the industry and the lives and challenges the workers within it are facing.